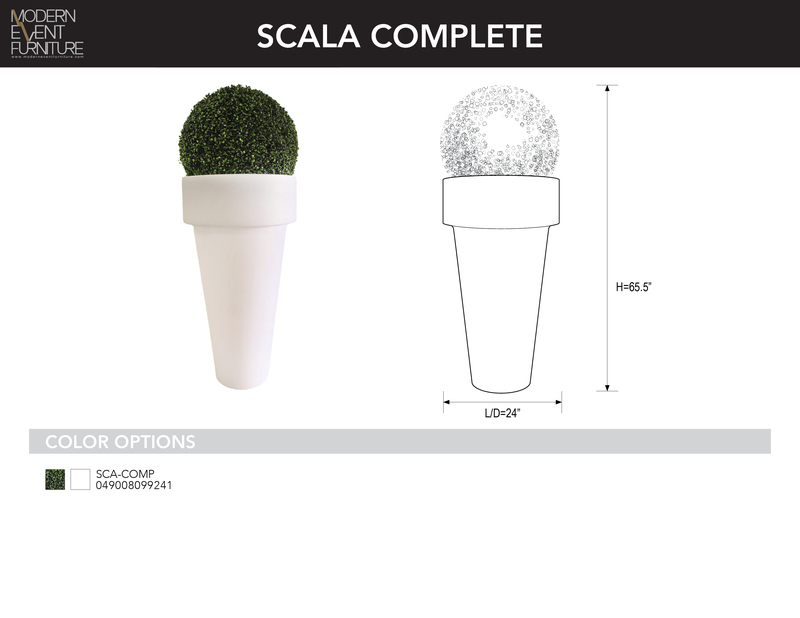 Scala - MEF Modern Event Furniture Inc.
Cylinder planter with led remote and topiary. Boxwood hedges and spheres help create lush backdrops and dividers to liven up any venue. Available to fit into our illuminato vessels or on their own. Custom sizes available in addition to replacement sheets for repair or to build your own walls. The lluminato collection is ideal to add atmospheric lighting to any event, both indoor or outdoor. Our programmable led lights are battery-operated with an 8 hour life and are remote-controlled. All items come with LED light.